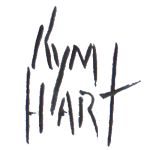 Kym is the second eldest son of Pro Hart. Having an internationally recognized artist for a father was a real head start for Kym, with Pro’s incredible ability to teach and the influence of an expensive art collection adorning the walls of the family home. Kym started painting at a very early age enjoying the ever changing landscape with the heavy industrial influence of the mines and the tranquility of the Darling River system, adjoining lakes and billabongs which are prominent in many of Kym’s paintings. 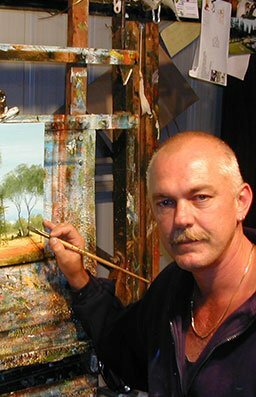 He has painted a vast amount of subject matter and his ability to paint in so many styles and with different mediums has won him acceptance in many collections all over the world.